Hemp Berry Pudding is rich in antioxidants, carotene, calcium and potassium. This robust pudding boasts an impressive line-up of ingredients. Buckwheat, a fruit seed related to rhubarb, serves as the base for this highly nutritious blend. Hemp hearts provide a good balanced source of Omega 3 and Omega 6 fatty acids, and is far easier to digest than soy. Bee pollen is an excellent source of carotene as well as vitamins E and B. Formulated for small to large hookbills, this mix is a powerhouse of essential vitamins such as A, B1, B2, B3, B6, C, E and vitamin K. An easily digested blend, Hemp Berry Pudding is rich in antioxidants, carotene, calcium and potassium. 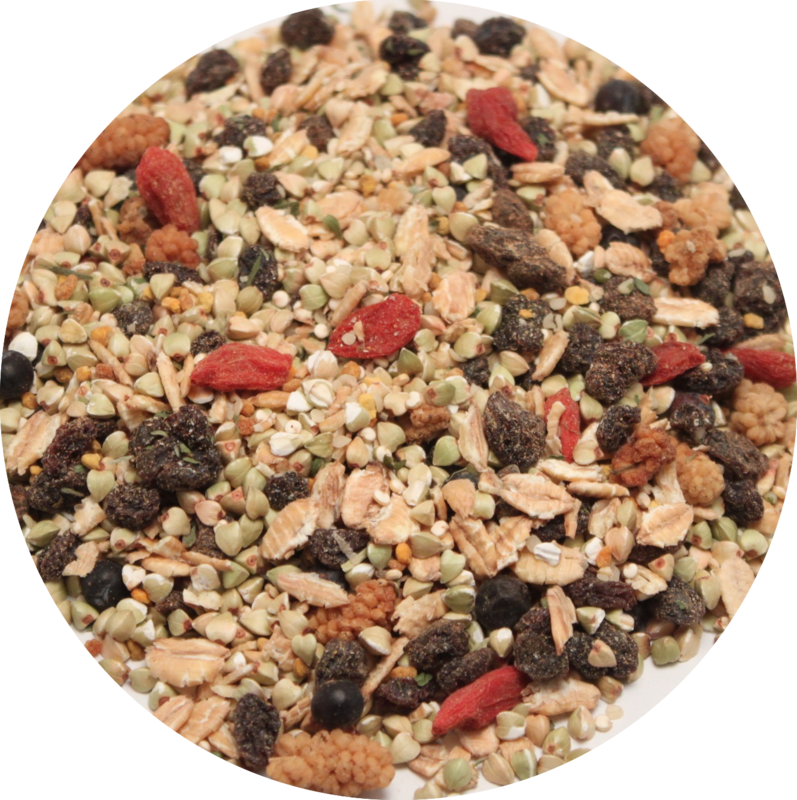 Buckwheat, KAMUT® Brand flake, quinoa, hemp hearts, bee pollen, currants, blueberries, mulberries, nettle leaf, alfalfa leaf, Ceylon cinnamon, ginger.